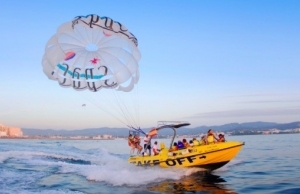 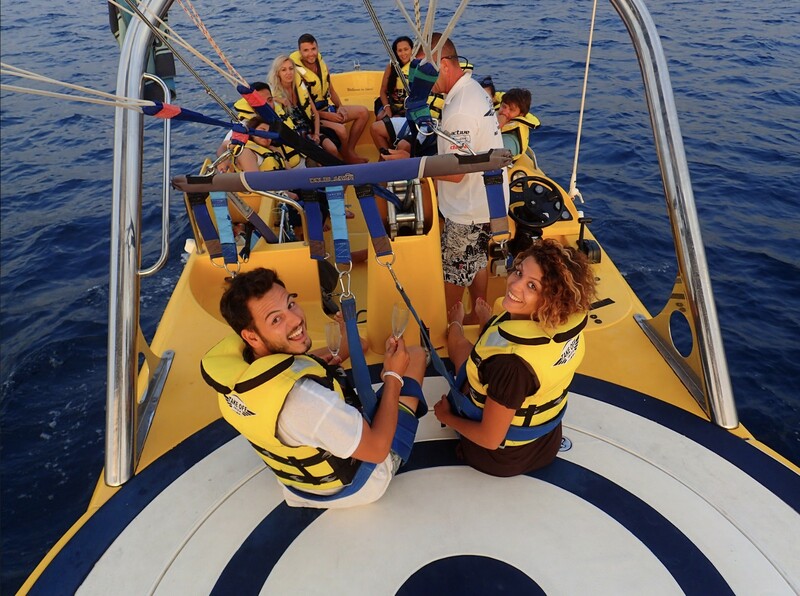 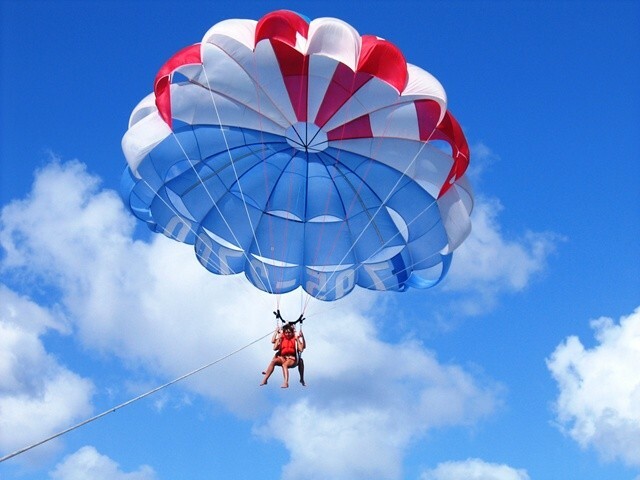 We will go a long way to give you an adventure of your lifetime....Take off and land from a parasail boat flight deck, it is safe and easy.Bring your friends and family- all ages welcome. "If you can sit, you can fly!" 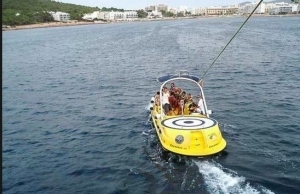 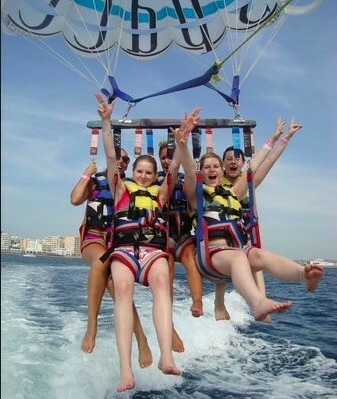 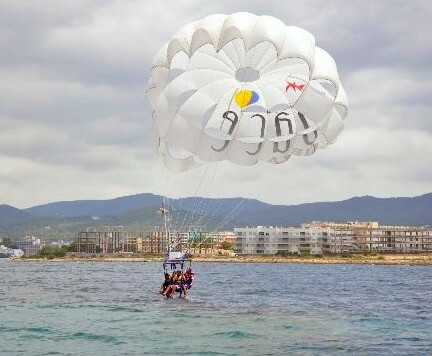 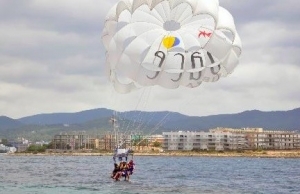 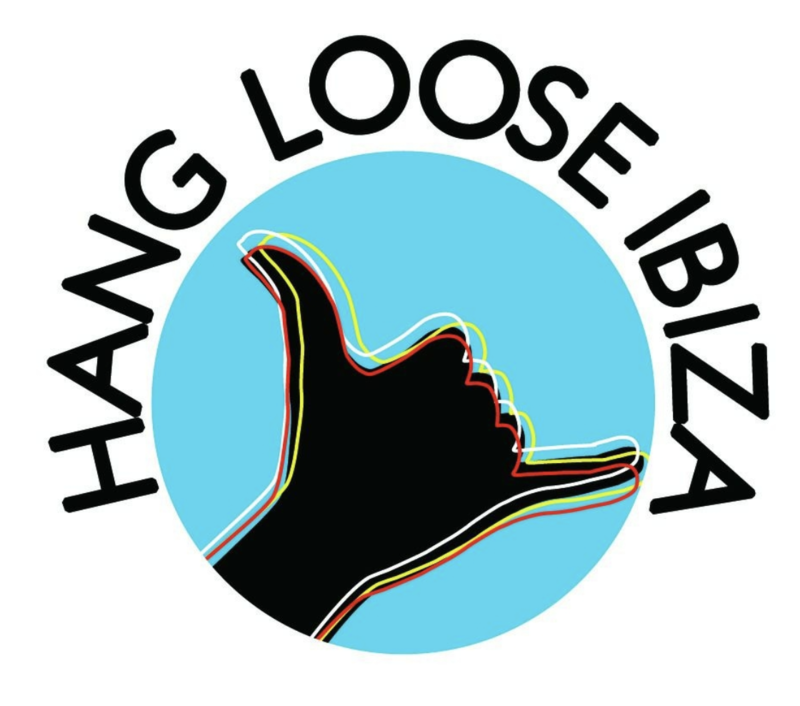 We specialise in PARASAILING only. 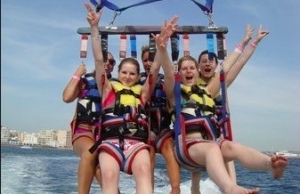 If you can sit, You can fly! 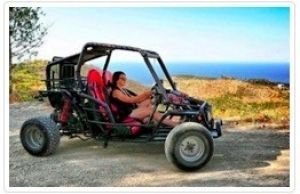 Take off & land directly from the boat’s flightdeck It’s safe, Easy, and Fun! 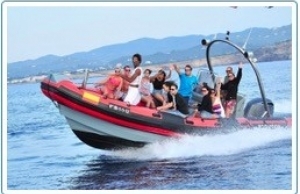 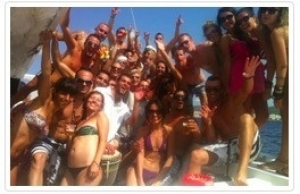 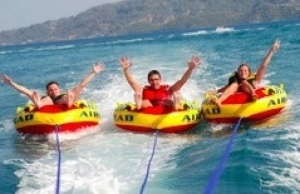 Spanish coast guard certified boats- up to 12 passengers. 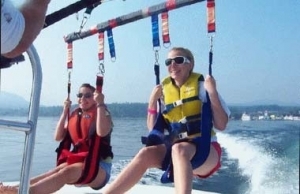 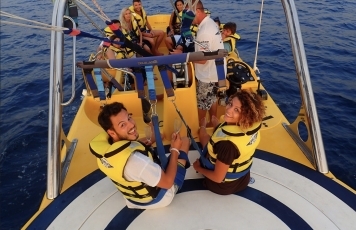 Board our parasail boats from the safety and comfort of a marine dock – No beach loading. 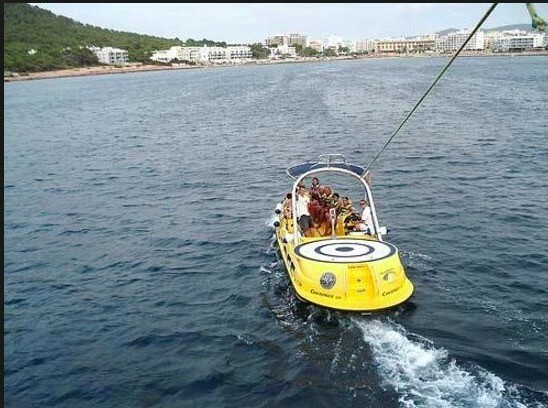 Pick- ups available from designated pier points. 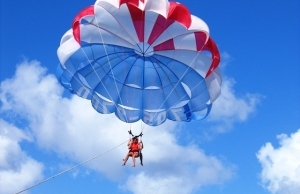 Minimum combined weight is 90 lbs and maximum combined weight about 450 lbs. 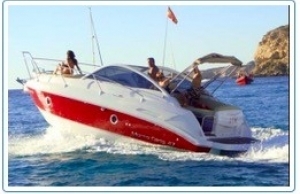 Weight requirements change daily due to wind conditions and are subject to Captain's approval.